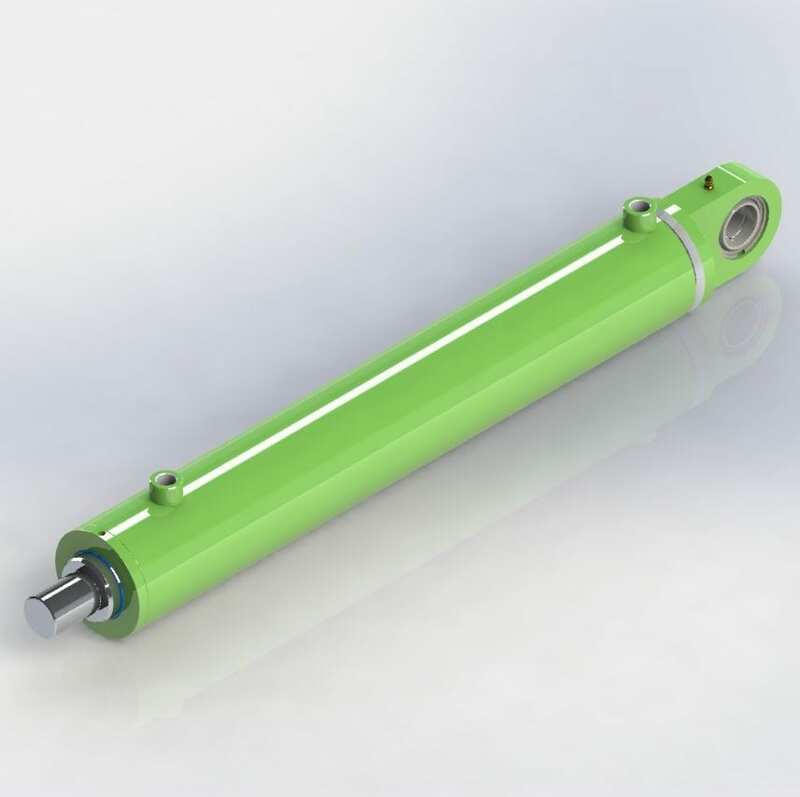 Hydraulic cylinders are linear actuators that convert hydraulic fluid power into straight line motion and force. They consist of a base plug, main tube, piston, piston rod, gland and ports. They come in all shapes and forms with differences in design and manufacture varying dependent upon industry and application. 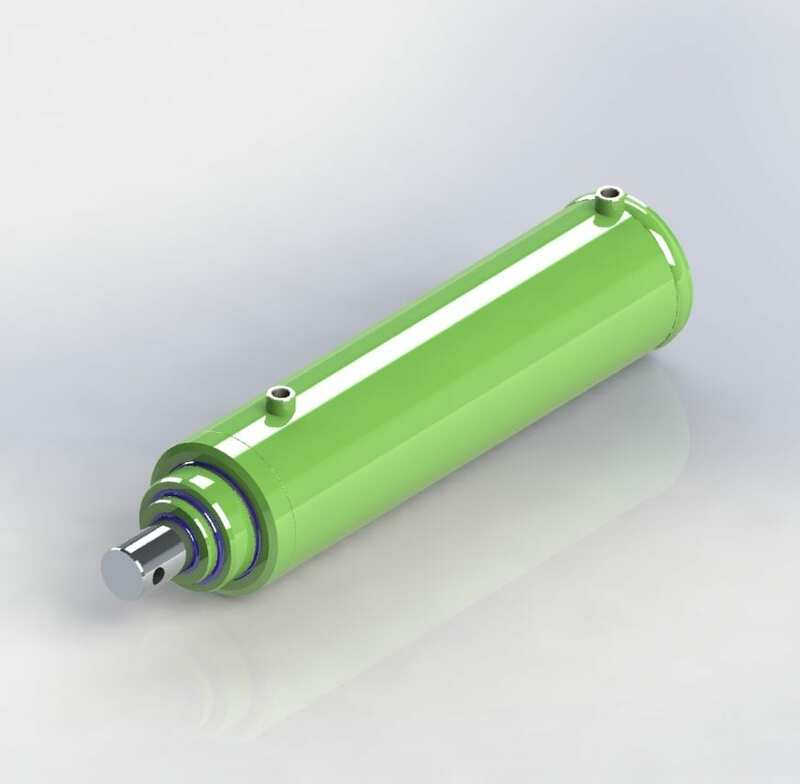 There are benefits and disadvantages to each type of cylinder and each construction method uses a different methodology relating to how the end caps are attached to the cylinder tubes. 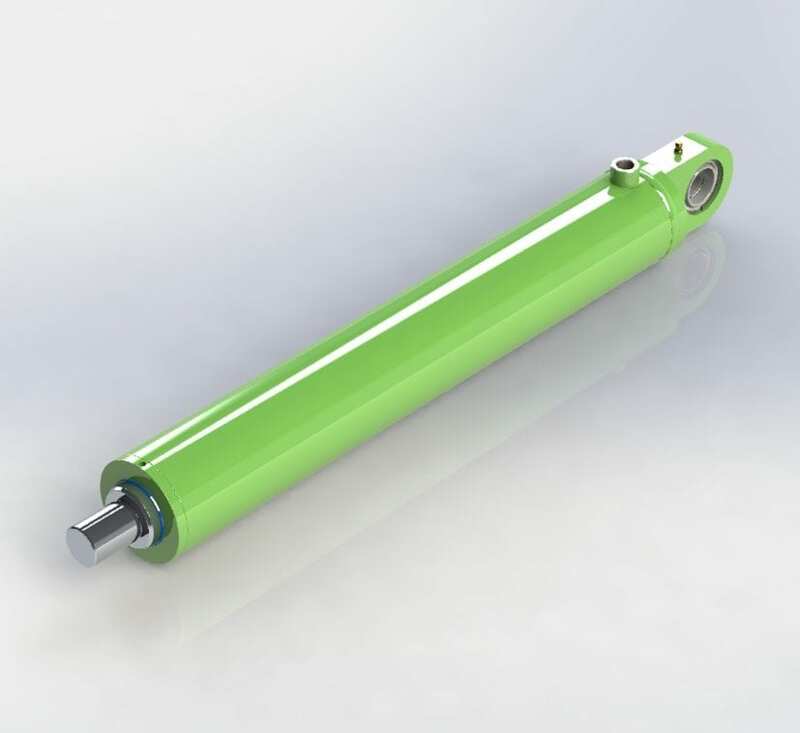 The three most popular types of cylinder construction are welded, tie rod and mill type, all available as either double acting or single acting. 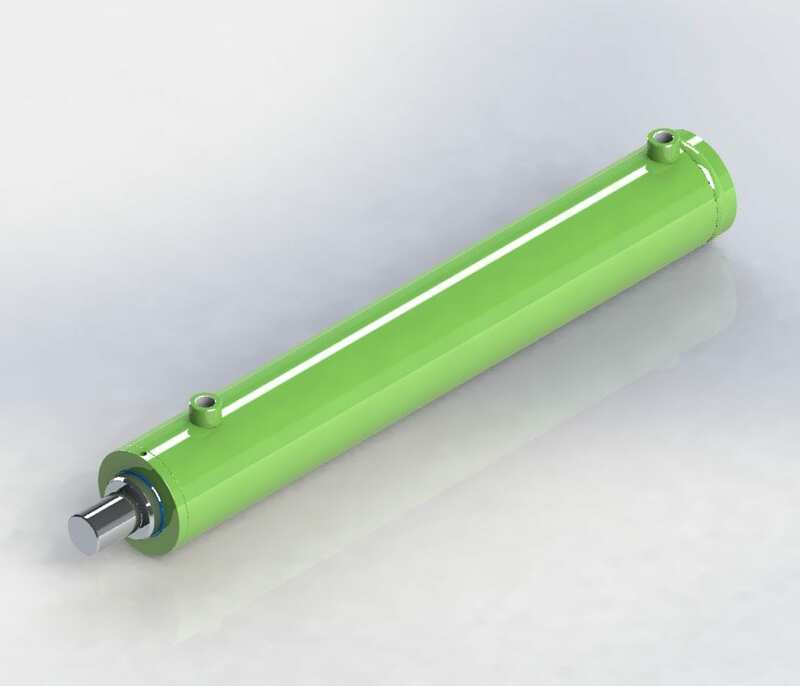 Please see examples of some of the Hydraulic Cylinders that Valley Hydraulics Ltd can offer below. Can’t see what you are looking for? Don’t worry. This is just a small selection of our capabilities – please contact us to discuss your requirements further. 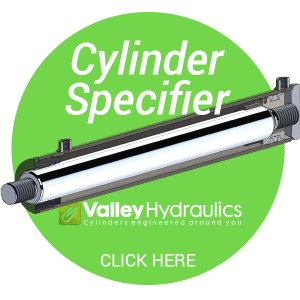 This is the most common method of constructing hydraulic cylinders with the majority of cylinders supplied by Valley hydraulics falling within this arrangement. 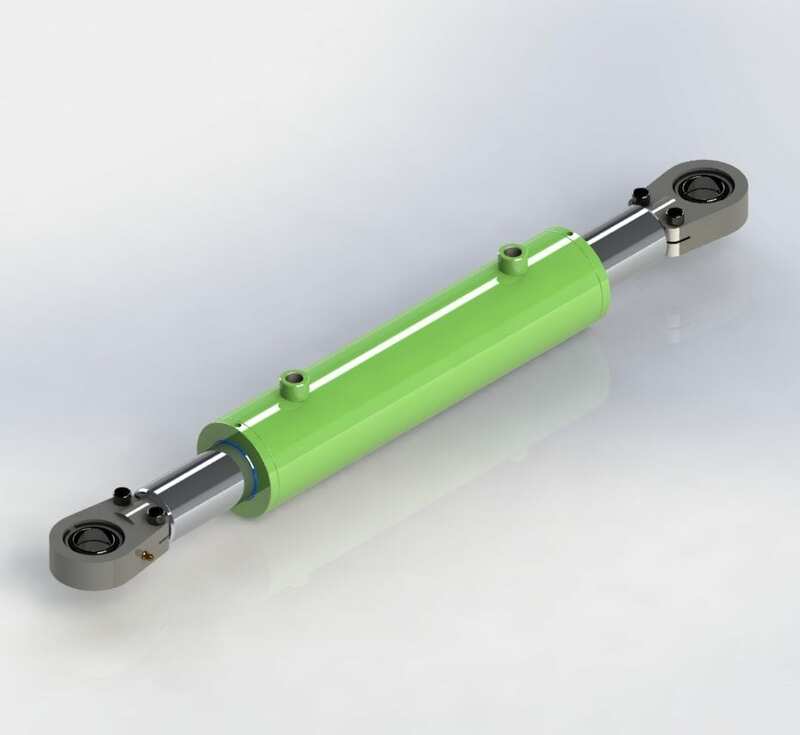 A welded hydraulic cylinder is made up of a base plug welded to one end of the main cylinder tube and a gland or end cap is screwed into the opposite end, this allows the piston rod assembly to be removed for servicing. The weld around the base plug seals one end of the tube whilst at the other end the gland includes a range of seals to seal both the tube and the piston rod. 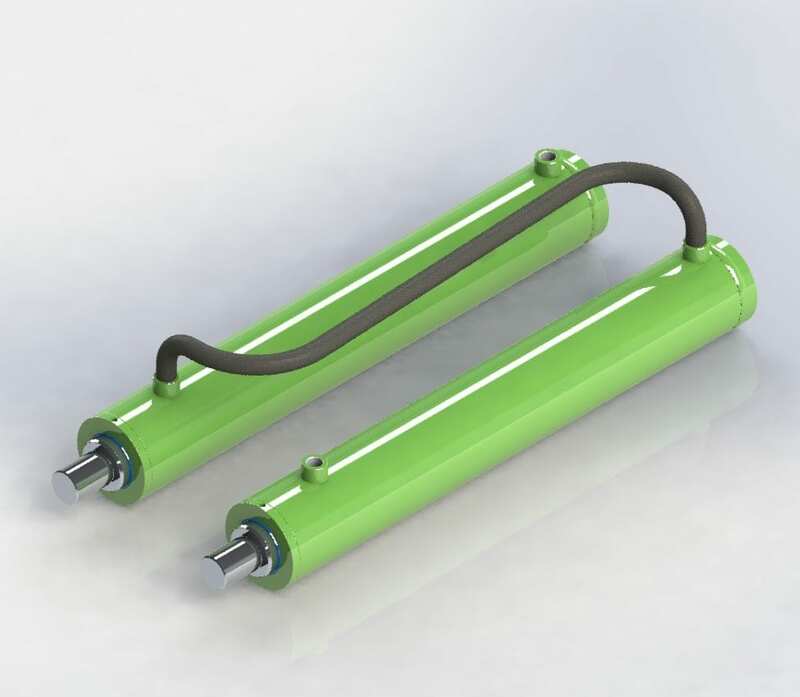 Tie rod hydraulic cylinders differ from other construction methods by using threaded tie rods the same length as the cylinder body to hold the base plug and end cap to either end of the main tube. The cylinders have a base plug fitted with seals to seal one end of tube and an end cap is fitted to the other end with a range of seals to seal against the tube and the piston rod. Each end plug/cap has a series of holes drilled through into which the threaded tie rods are fitted. The threaded rods are then torqued to a specific value either using nuts or screwed directly into one of the end plugs/caps and this holds the cylinder assembly together. 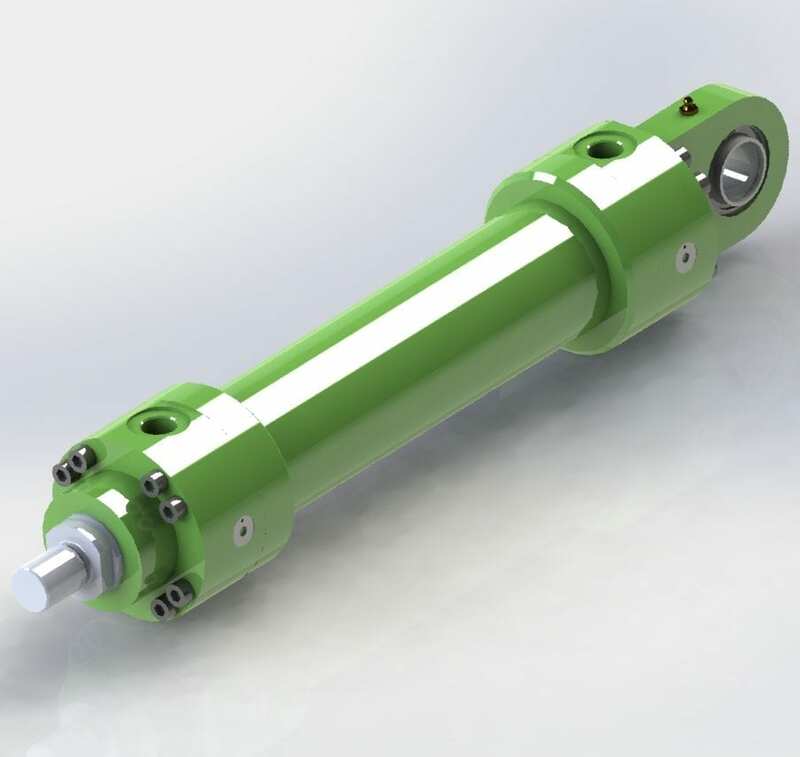 The end plug and cap in mill type hydraulic cylinders are bolted to flanges that are generally welded to both ends of the main tube. The flanges include an array of holes and both the end plug and cap are offered to a flange on either end of the tube, high strength bolts are then fitted and torqued to a specific value to hold the end cap and plug in place. The end plug includes seals to seal one end of the tube and the end cap includes an arrangement of seals to seal against the tube and piston rod. 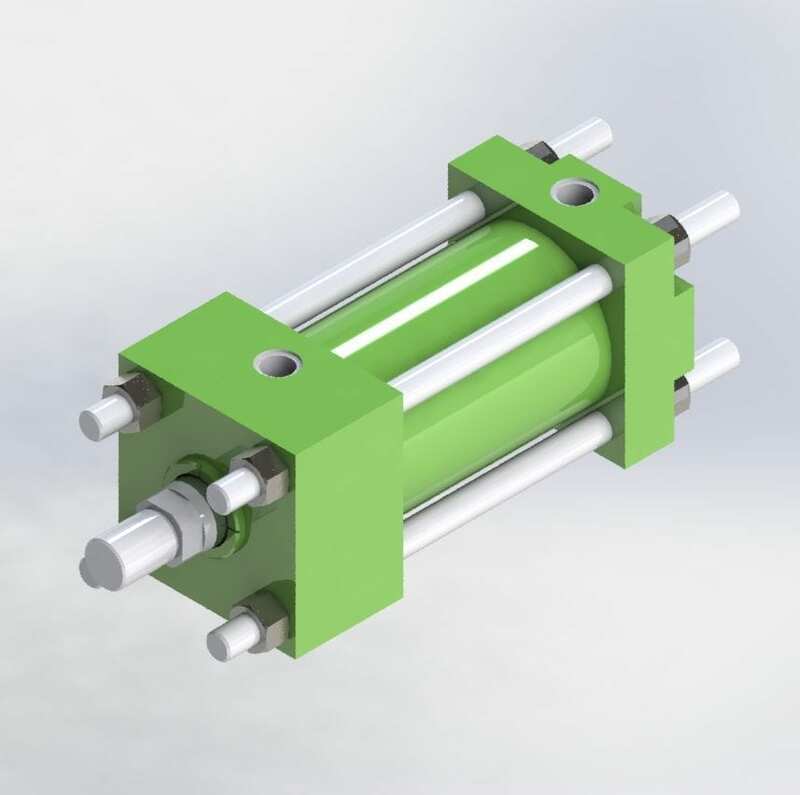 With this configuration one cylinder, the master cylinder, is used to drive a number of slave cylinders in sequence, the result is from only one input a number of cylinders will extend and retract simultaneously. This all works by matching annulus to full bore volumes and transferring oil from one cylinder to the next. A hydraulic service line is connected to the full bore of the master cylinder, the rod side of the master cylinder is connected to the full bore of slave cylinder number 1, the rod side of slave cylinder number 1 is then connected to the full bore of slave cylinder number 2 and so on until the last cylinder in the sequence is reached where the rod side is connected back to tank. All cylinders are then primed using internal valves so that every cylinder is in its fully retracted state with the annulus areas filled with trapped oil. The volume of oil in the rod side of each cylinder is identically matched to the volume of oil required to extend the full bore of the next cylinder in the sequence. This means when the master cylinder is extended the dormant trapped oil in the rod side of each cylinder is transferred to the full bore of the next cylinder in the sequence which extends the next cylinder, therefore all cylinders extend together. The cylinders also retract together when oil is sent to the annulus of the last cylinder in sequence, this transfers all of the dormant trapped oil in the full bore of each cylinder back to the rod side of the next cylinder in sequence, therefore retracting all cylinders from a single input.